The full range of Libra Leg Bags, and most of the GB Night Bags, are available for Hospital use. Please download the full Product Code List here. If you wish to order any of these products, or for more information, please contact your local Great Bear Territory Manager. If you are unsure of who this is, please Freephone 0800 055 6270 and we will be able to assist. 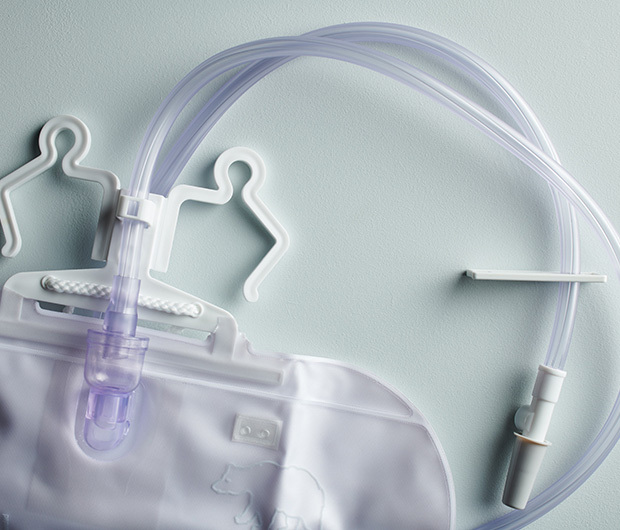 The GB7 is a post-operative 4-litre Urine Drainage Bag with 120cm tubing and Lever Action Tap. It has a life-in-use of 5-7 days and comes in a pack of 5. 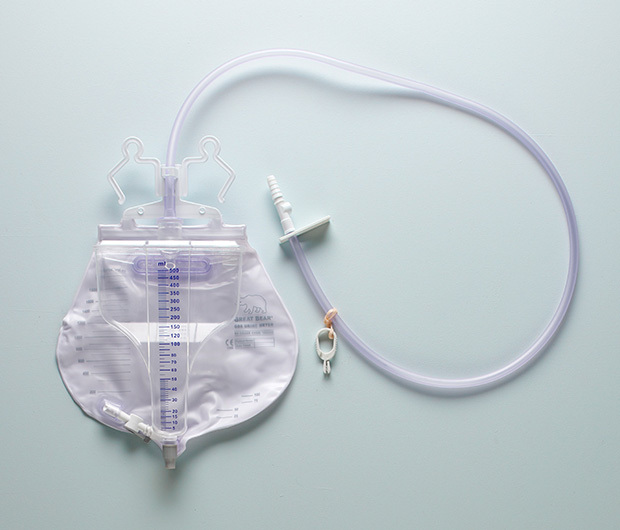 The GB8 is a 2-litre Drainage Bag with a 500ml Urine Meter. 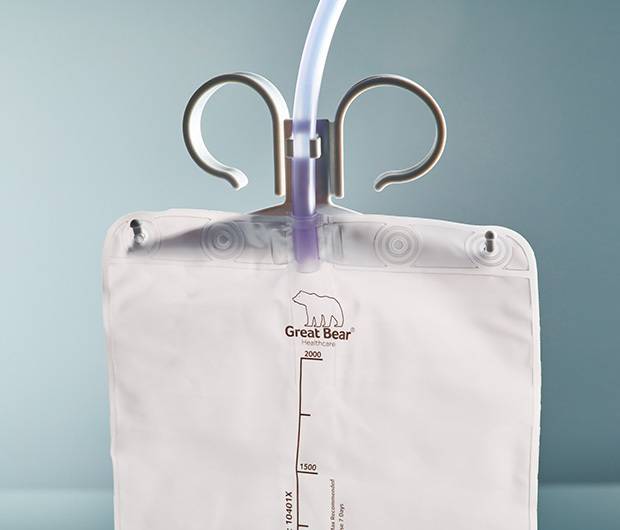 The Great Bear Bed Hanger is designed to hang Night Drainage Bags from a bed frame. Nightingale is a dedicated Home Delivery and Nursing Service which has been established for over 30 years. We specialise in delivering all brands of continence and stoma care products discreetly to your front door.